MG Bismellah Waziri, Afghan National Army Special Operations Command commander,, congratulates the Commando Qualification Course student company commander on his mission brief to ANASOC and NATO Resolute Support leadership at Camp Commando, Kabul on Oct. 21, 2017. (Photo Jacob Krone, NSOCC-A). SOF News Update 20171023 – Hyping Niger, Tempest Wind 2017, Afghan Commandos, fake SEAL on Fox News, CIA and Omega program, SAS history, MoH to be awarded Monday, and more. Hyping Niger. It appears the media (and some Democrats) are keeping Niger in the news for political purposes. Apparently there is a feeling that the Niger incident can be Trump’s ‘Benghazi’. Certainly the loss of four Special Forces Soldiers in Niger is tragic and questions need to be answered. But . . turning the event into a circus is unfortunate. More details of the SF mission are coming out each day. Read one of the more recent news reports. (Voice of America, Oct 22, 2017). History of SAS. Read a bit of history about the UK’s Special Air Service and the training that candidates must endure to join the squadron. “A Short History of the Special Air Service”, Elite Military Forces, October 22, 2017. SF Medic to Receive MoH. Army Captain (Ret) Gary Rose will receive the Medal of Honor at a White House ceremony on Monday, October 23rd. (DoD Live, Oct 22, 2017). CIA and Omega Program Expansion in Afghanistan. For years the CIA’s paramilitary officers of the Special Activities Division has worked closely with the secretive Afghan National Directorate of Security (NDS) and elite Afghan CT units to capture or kill high-value terrorist targets in Afghanistan and elsewhere. The program will ramp up a bit with the utilization of special operations personnel as part of the Pentagon’s Omega program. See “A Newly Assertive C.I.A. Expands Its Taliban Hunt in Afghanistan”, The New York Times, October 22, 2017. Tempest Wind 2017 & 353rd SOG. The Air Force’s 353rd Special Operations Group participated in Tempest Wind 2017. The exercise, held in the Pacific region, was a bilateral, interagency counterterrorism exercise held in September 2017 in Okinawa, Japan and various locations in the Philippines. 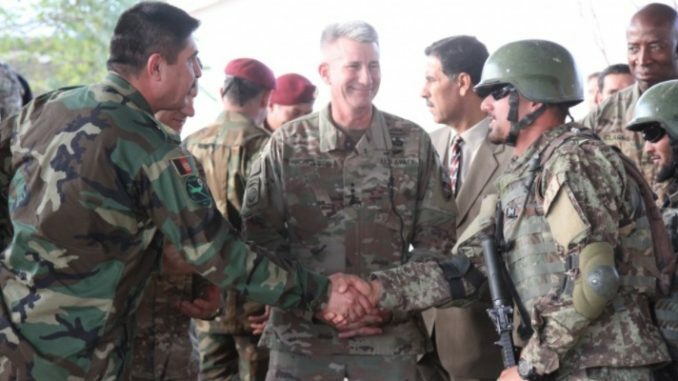 Other SOF units participated to include the 1st Battalion, 1st Special Forces Group and 4th Battalion, 160th Special Operations Aviation Regiment. (Air Force, Oct 22, 2017). Fake SEAL on Fox News. The Fox News network has a credibility problem. Over the past several years ‘experts’ with some specific credentials have proven to be frauds. The latest case involves a 72-year old man who has claimed to be a Navy SEAL and served in Vietnam. Neither claim is true. (Navy Times, Oct 19, 2017).